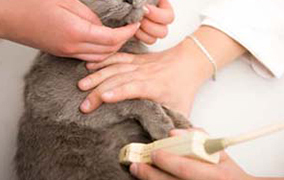 Bay Animal Clinic uses modern digital x-ray and ultrasound to help quickly and accurately diagnose your pet’s possible reasons for pain or sickness. 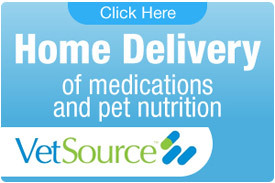 We understand that you have a choice as to who provides health care to your pet. Our diagnostic capabilities, experience, and compassion make our hospital an excellent choice for the life of your pet. 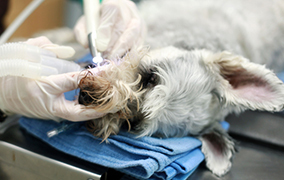 An often overlooked aspect of necessary care for our animals is their dental health. It may seem silly, but regular brushing of our pet’s teeth is good preventative care. One of the Eastern Shore’s longest serving veterinary practices, Bay Animal Clinic offers exceptional healthcare for your beloved small animal pets. We boast some of the best equipment in the veterinary field providing state of the art surgery, dentistry and diagnostic testing for your pets. Bay Animal Clinic offers modern medicine delivered with old-fashioned common sense and customer service. Our friendly atmosphere is made possible by our loving and caring staff, many of whom have been with us for 10 years or more. 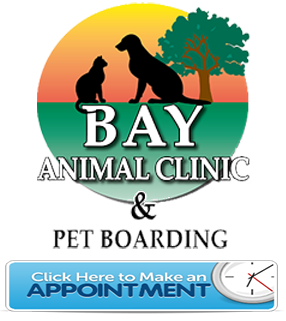 Many practices state that they are one of a kind, but Bay Animal Clinic truly is just that - one of a kind. We are one of the few clinics on the Eastern Shore to offer Saturday doctors' hours! Saturday visits are available by appointment only from 8am – 12pm. They book up fast, so call please call ahead! Picking up and dropping off your precious pet for boarding is also very convenient with availability seven days a week! The doctors at Bay Animal Clinic also offer laser surgery for decreased bleeding, faster post-operative healing and most importantly decreased post-operative pain! All of these services make us very unique in what we have to offer. We also feel that paying it forward is very important in today’s world. Bay Animal Clinic and our dedicated staff enjoy actively participating in charitable events like BARC’s “Christmas by the Bay” and Project Movement in Art’s “Frozen Tea Party” to benefit The Exceptional Foundation. If you find yourself looking for a compassionate, efficient, high quality practice to care for your pet, look no farther than Bay Animal Clinic. Our doctors offer the best medicines, supplements, preventative treatments, foods and treats available and utilize the most advanced diagnostic equipment available in order to help your pet attain optimal health and stay on the path to a high quality way of life. Look for our big green sign under the magnolia tree on Highway 98 in Montrose, Alabama when searching for the best caregiver for your furry companions! Call 251-928-5630 for more information. Bay Animal Clinic’s mission is for our practice to succeed through client satisfaction, personal and professional enrichment as well as reinvestment into the practice and our community. Our doctors and staff are dedicated to providing the highest quality in veterinary medicine, surgery, dentistry and emergency care in a compassionate, friendly and clean environment. It is our belief that preventative care and client education are essential in order for every pet to enjoy a lifetime of good health. We will strive to exceed expectations in all that we do in order to nurture the special bond between our patients and their dedicated owners. Bay Animal Clinic will be an organization that recognizes the contributions of EVERY employee. Our staff will acknowledge each other's strengths while respectfully and constructively supporting each other's weaknesses. We will be a TEAM that works together and communication will be one of our top priorities. It will be a place where every employee is encouraged to grow for the benefit of each other, the clinic, the animals we care for and the community we live in. We will work together to continually improve our facility so that we reflect the quality of our services. We will regularly reinvest into our hospital to provide the best equipment, supplies and care possible. 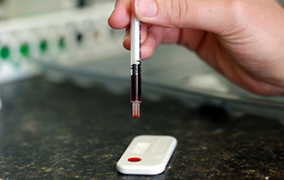 We will create an atmosphere and a culture that are welcoming and put both clients and patients at ease. It will be our mission to educate clients to a point that no pet will die of a preventable or treatable disease/disorder. Our biggest achievement will be that our patients live longer, healthier lives and thus improve the quality of life of the owners that love them. We will continually strive to be a financially responsible and successful business that will exist for many years to provide services and employment opportunities to the Eastern Shore. We will always give back to the community through donations and charity involvement as a testament to our philosophies.